Michael Moore's 'Capitalism' Love Story For his film, Capitalism: A Love Story, Michael Moore knocked on the doors of the country's biggest financial institutions, and surrounded Wall St. with crime scene tape. He did it because he believes capitalism is evil. 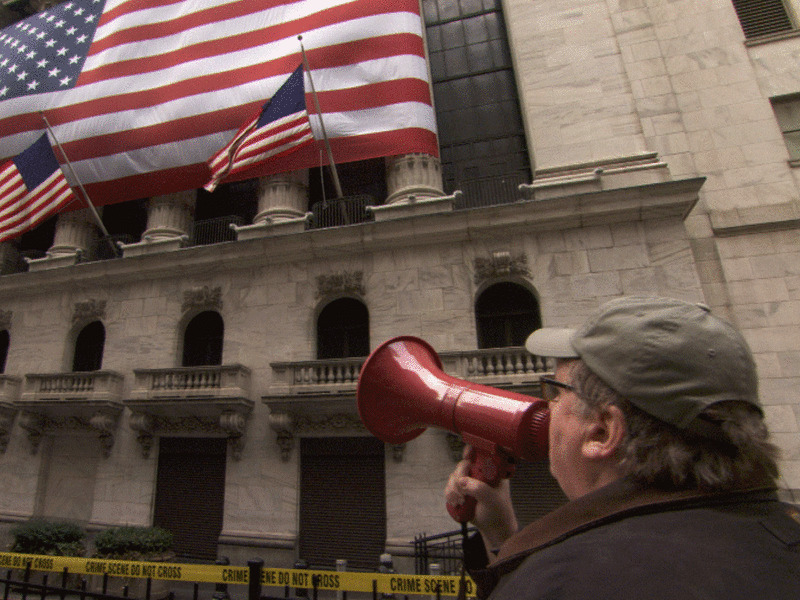 For his film, Capitalism: A Love Story, Michael Moore knocked on the doors of the country's biggest financial institutions, and surrounded Wall St. with crime scene tape. Why? He says he did it because he believes capitalism is evil. Over the last 20 years, Moore has made a series of provocative documentaries that challenge American corporations and the government. He points out where he believes institutions have failed the American people, and Capitalism: A Love Story elaborates on that theme. Moore defines capitalism as "a system of legalizing greed and protecting the wealthy." "It's tragic," he told host Neal Conan, "to see how we've built our country into the wealthiest country on the planet — there is so much abundance here — and yet we have such a disparity between the haves and have-nots in this society."